Sega will launch the rumored project of Sega Forever starting tomorrow. It is a steadily growing collection of classic video games from all generations of the console, that will be released free of charge on mobile devices. Sega, the company of Game Gear, Mega Drive, and the Dreamcast, may no longer be a big rival of Nintendo or will produce their own consoles; but still, it has a catalog of classic video games that lots of other companies would like to have. That is why they are going to launch a new collection of ‘retro’ games for mobile devices. Under the name of ‘Sega Forever’, the company will launch its games on the App Store for iPhone and iPad and Google Play store. The games will be free, although they will have advertisements inside. In case the players want to get rid of the ads, they will have to pay $1.99 for each game. Every game in Sega Forever is free and offline and includes new features such as cloud storage, controller support, and leaderboards. “Join us on a journey of rediscovery as we roll out two decades of classic games free on mobile. Create your own ‘SEGA Forever folder’ and collect your favorite classics. Enjoy moments of nostalgia on the go, or sync a Bluetooth controller to enjoy a console-like experience in your living room. 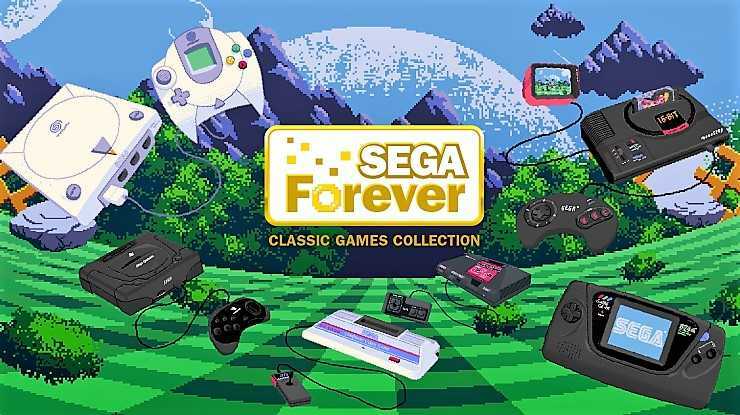 SEGA Forever democratizes retro gaming, and seeks to change how the world plays, rediscovers, and shares in classic game experiences,” Evans further stated. Five Mega Drive games await you including Sonic the Hedgehog, Phantasy Star 2, Comix Zone, Kid Chameleon and Altered Beast. Additional titles will be added every two weeks. Check out the launch trailer of SEGA Forever below.